Be prepared for any roadside disaster with the Emergency Escape Multitool By Stalwart. This survival tool has everything you would need in the event of an accident or automotive disaster. 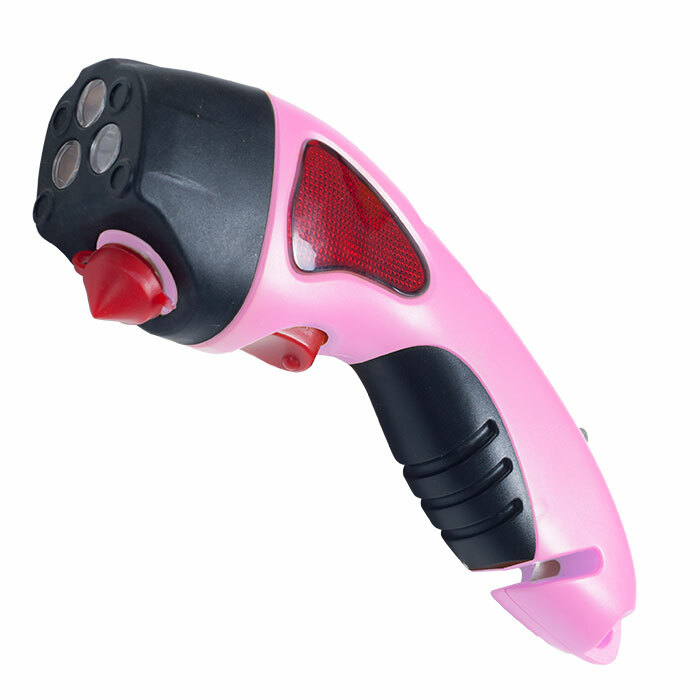 One end features a sharp, pointed steel hammer for breaking windshields and windows if they become jammed or lose power, and has a safety cap to cover it when not in use. 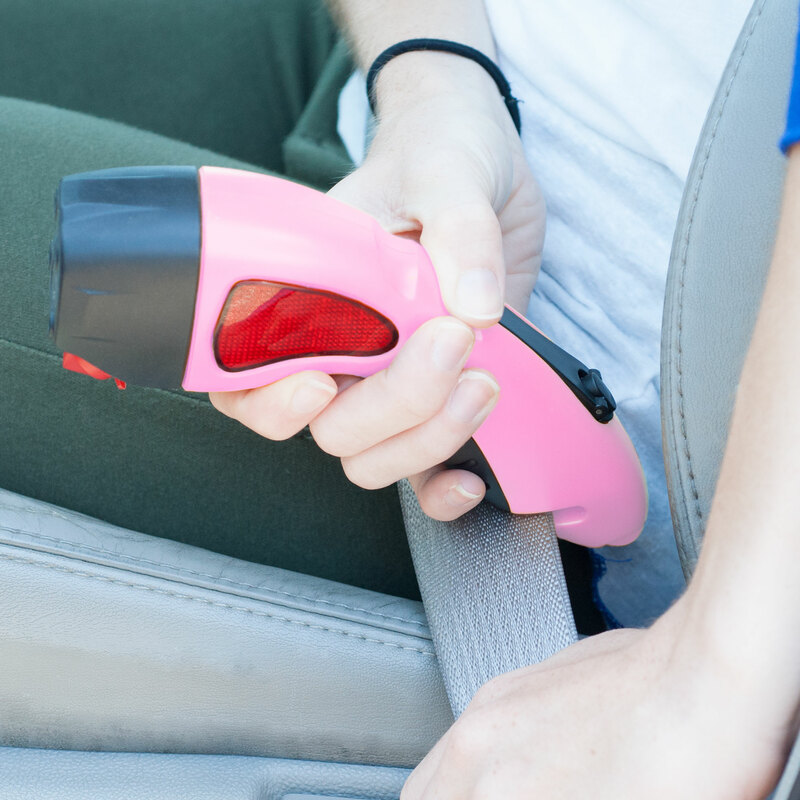 The other end has a sharp blade with safety guard to cut through seatbelts in the event of an accident. 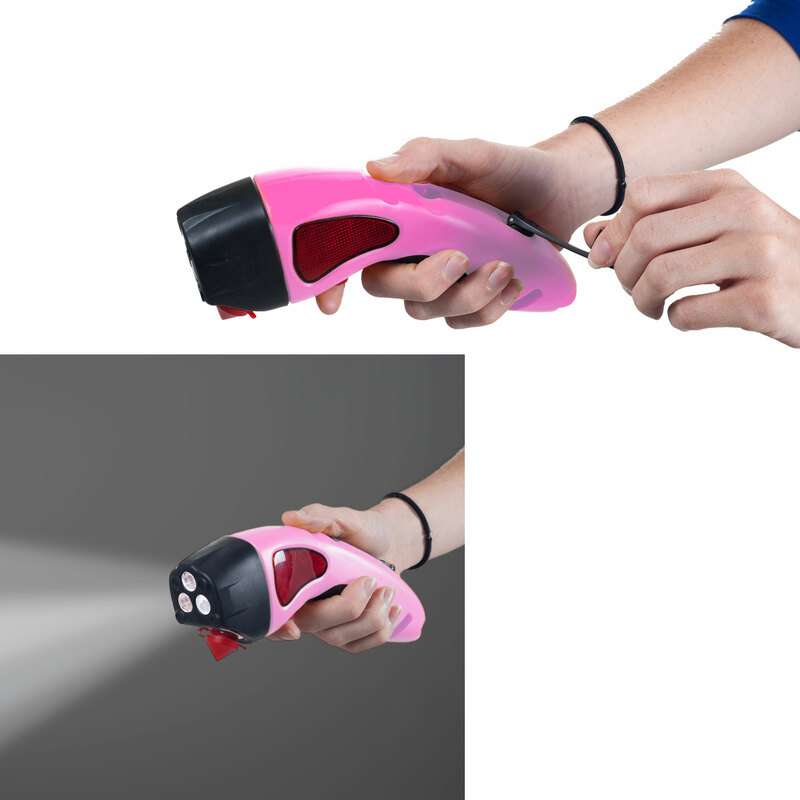 The unit also features a crank powered LED flashlight, so you can be confident you’ll always have power during a catastrophe. There is also a blinking red reflector function you can use as an emergency signal. The multitool features a powerful magnet base so you can attach it to your car to make repairs or signal for help. The tool is compact enough to fit in a glovebox or console for easy access in an emergency while still having enough weight to get the job done. It has a rubberized grip to make it easier to hold on to and use. This is an important tool to have in case of emergency during road trips or daily commutes. CRANK POWERED LIGHT- The bright LED light and flashing red signal are powered by a crank generator. The wind-up function ensures that you’ll always have power in an emergency and not have to worry about dead or dying batteries. COMPACT DESIGN- The multitool is small enough to easily fit in a center console or glove compartment of your vehicle so it will be easy to access in an emergency, but it still has enough weight to do the job. GLASS HAMMER- The sharp, pointed steel window breaker is an essential tool to have in case of a crash. 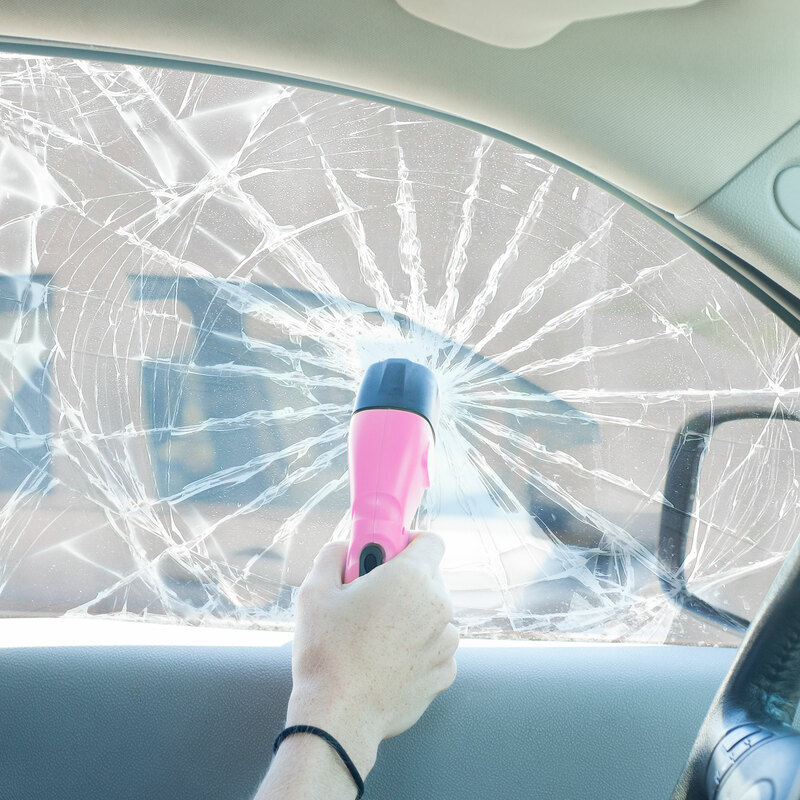 You’ll easily break windshields or passenger windows if they become jammed or lose power, allowing you to escape danger. SEATBELT KNIFE- One end of this emergency tool features a sharp blade for cutting through tough seatbelt material. You won’t have to worry about being tangled and trapped after an accident. The safety guard protects you from injury. PRODUCT DETAILS- Materials: Plastic and Metal. Dimensions: 8.25” L x 1.75” W x 2.5” H. Rechargeable Crank Battery. Color: Pink.